The year of the sweater is well under way (how many have you completed?!) and it is a great time to stock up on sweater patterns while our big BOGO sale is on! Here at TCK we love a good tutorial, and we wanted them to be easier to find so we have re-vamped our help page! Our 2 free sweater patterns from the Simple Collection, Harvest and Flax are among our most popular sweater patterns. If you have never knit a sweater before I highly recommend starting with Flax. It is a simple and straightforward pullover, knit from the top down so you can try it on as you go. No seaming to worry about, and worsted weight yarn knits up quick! Harvest is a great wardrobe item, simple and modern. The construction is top down, but with a twist. It has garter details to keep it interesting, but is simple enough to show off a beautiful yarn! If it is a cabled yoke you crave, Antler is the answer. A coworker of my husbands just had a beautiful baby girl so I will be casting one on tonight (I think this is my 6th…maybe 7th!). 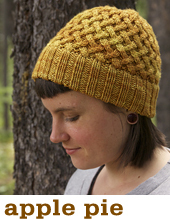 Our tutorial takes you step by step through bottom up sweater construction. Looking for a challenge? 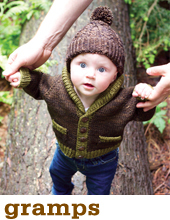 We also have tutorials to go with our Clayoquot cardigan. 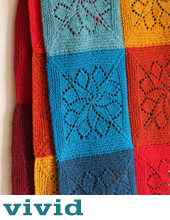 One on choosing your pallet for colourwork (a great place to start before you head to the yarn shop), and one on steeking for when that scary moment comes! Our new help page also includes links to all of our technique tutorials. Unsure of how to work an ssk? Need to work a lace chart? Curious about the smocking stitch? We have tutorials for that! If you have any requests just leave a comment on the blog and we will take your suggestions under advisement! ← 5 Sweet Years… It’s time for a SALE! We love your handouts and awesome videos! Many troops have learned to knit TIN CAN style!